Tampa Bay flats fishing is nothing short of spectacular. 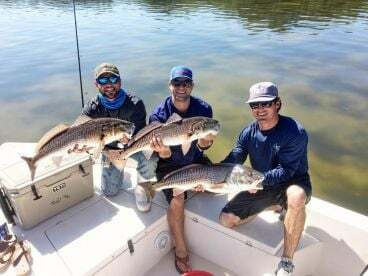 This year-round fishery boasts a variety of species, including Redfish, Speckled Trout, Snook, Tarpon, and much more. From light tackle and fly fishing to bow fishing, these shallow waters are full of opportunities that anglers of any skill level can enjoy. 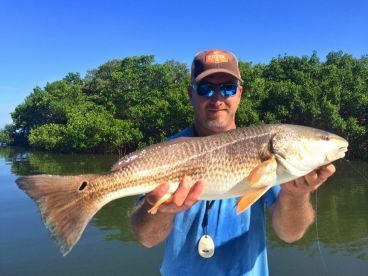 No flats species is more iconic than Redfish, a hard-fighting prize who is ready to give anglers a run for their money any day of the year. You will find this fish on the grassy flats of Tampa Bay during most months, often in water as shallow as three feet or less. Summer is the best time to target tailing Redfish on the flats, since they tend to move to deeper water when the weather grows cold. 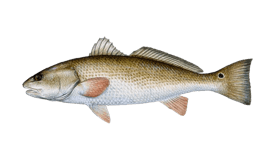 While hunting for Redfish you will also hook into Speckled Trout and Snook. 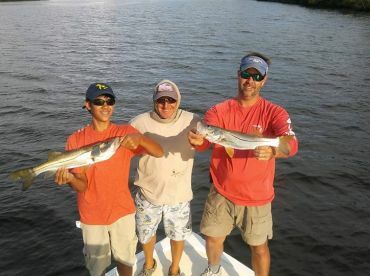 While Speckled Trout makes for a delicious lunch, anglers are captivated by Snook due to their showmanship. 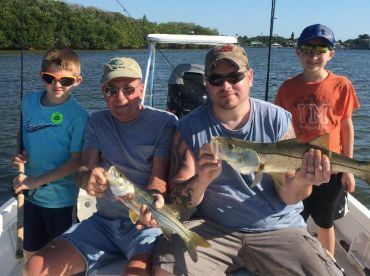 Known for explosive strikes and powerful runs, Snook is all the proof you need to understand why flats fishing in Tampa is so exciting. 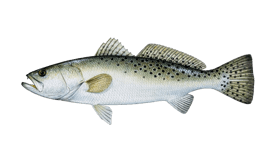 The best time to target this fish is in summer, particularly at night when they feed near the dock lights. 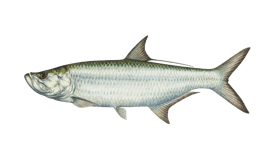 Of course, the flats fishing in Tampa is a missed opportunity if you don’t add Tarpon to your target species. This “Silver King” is at the top of many bucket lists, and there’s good reason for it. With local specimens reaching far beyond 100 lbs in size (sometimes up to 200 lbs), this fast-running and high-jumping prize puts on a theatrical display like no other. The peak season for Tarpon fishing changes every year, but you can count on booking a trip sometime between April and August. May through July is usually considered the absolute best time for landing a Silver King. Even in winter, you won’t leave the flats empty handed. 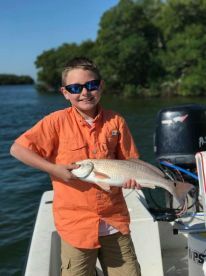 These skinny waters are home to Flounder, Jack Crevalle, Black Drum, Mangrove Snapper, and a variety of Shark species such as Blacktips and Bonnetheads. 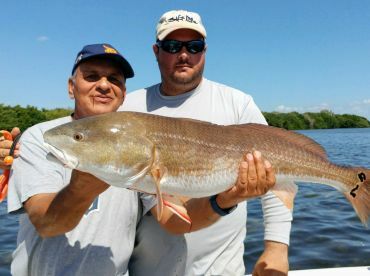 You can catch most species on the Tampa Bay flats by fishing with light tackle or on fly. Common techniques include spinning, baitcasting, drift fishing, bottom fishing, and trolling. Depending the species and your guide’s preference, you might fish with live bait, cut bait, or lures. Live bait typically invites the biggest bite, whether you’ve set your sights on Redfish, Snook, or Tarpon. Live shrimp, minnows, Pinfish, and crab are irresistible to the game fish in these waters. 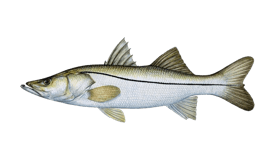 Bottom fishing with Mullet heads in slightly deeper water will also help you land large Snook or Tarpon. If you’re privy to casting lures, consider using a variety of swimming plugs, jerk plugs and surface plugs for Tarpon, Snook, or Redfish. Fly fishermen like using large streamers or poppers for Redfish and Snook. Using bucktail streamers and scissor-action feather streamers works well for Tarpon. Locals recommend a 10-12 weight fly rod and 15 lb test line (minimum) as well as a monofilament leader or tippet to keep monster Tarpon from breaking your line. Yet another method to fish the Tampa flats is bow fishing. This technique requires little to no previous experience, though there is always room to perfect your skills if this happens to be your sport of choice. You can bow fish for Rays, Mullet, Sheepshead, Mangrove Snapper, and Flounder. Bow fishing at night typically doubles your catch.